NEW YORK TIMES BESTSELLER The daughter of a diplomat disappears on a school field trip—lured into the Santa Monica Mountains and killed in cold blood. Her father denies the possibility of a political motive. There are no signs of struggle and no evidence of sexual assault, leaving psychologist Alex Delaware and his friend LAPD homicide detective Milo Sturgis to pose the essential question: Why? “Feverish in pace and rich in characters . . . a chilling and irresistible thriller.”—People Working with Daniel Sharavi, a brilliant Israeli police inspector, Delaware and Sturgis soon find themselves ensnared in one of the darkest, most menacing cases of their careers. And when death strikes again, it is Alex who must go undercover, alone, to expose an unthinkable conspiracy of self-righteous brutality and total contempt for human life. 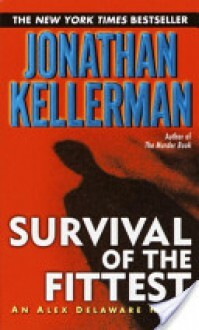 BONUS: This edition contains an excerpt from Jonathan Kellerman's Guilt.